Growing up, my father was an alcoholic. After a painful childhood experience that led to estrangement in adulthood, I'm grateful that my father is more than seven years sober today. My family experienced full restoration of our relationship with my father and through this, we've learned many valuable lessons along the way. For family members or loved ones, it might feel like recovery relates only to the person struggling with an addiction. 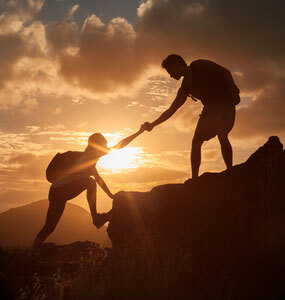 While the addict certainly has the most work cut out for him or her, it’s important to remember that family members also have a recovery journey to go through of their own. Be patient with yourself on your journey, and know that you too can overcome the negative impact of addiction on your life. Here are 3 reasons why the recovery journey of a family member shouldn’t be overlooked. 1. We've gone through painful experiences. Addiction hurts. It hurts families, relationships and memories. I've felt this and it's not easy. Because of the pain many of us have experienced, it's important to learn to re-think past life situations in light of recovery. It's possible to move past the pain of the past, but it takes commitment and acceptance that you need healing and time to forgive, move forward and rectify what has happened. 2. We've developed behaviors as a result of addiction. Some people say that “addiction is a family disease” because it affects the entire family system. Whether it's made us sensitive, cynical or co-dependent, it's important to address that we as families carry dysfunction from addiction that needs to be addressed. As we tackle the negative habits or behaviors it has brought into our lives, we will create a more resilient family, and will speak to the power of how recovery can impact an entire family to get well. 3. We need to move forward. The past cannot be changed. In the promises of AA, this phrase says it best: "We will not regret the past nor wish to shut the door on it." This should be embraced by family members of individuals in recovery just as much as it should be embraced by those in recovery themselves. Every day is a new day with new opportunities to move forward with resilience, gratitude and forgiveness. Know that although the journey that lies ahead for you as a support person may be difficult, it’s worth it when you stick with it. 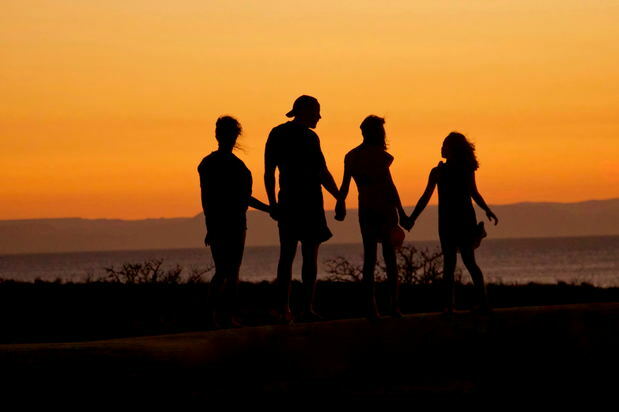 Whether you decide to attend Al-Anon or another community group for families affected by addiction, being in a group of peers with similar experiences can help you process the past and move forward. It will give you a sense of community, reminding you you're not alone on the journey. Family events that happen in addiction can be very negative and difficult to process. If you need extra support, consider seeing a psychologist, counselor or personal life coach. They can help you address the root causes of negative feelings or behaviors in your life today and can help you with boundaries, forgiveness, and your own personal journey of healing. While this must be left up to you and your family's unique dynamic, know that family counseling is an option. Navigating the complex waters of the past can be very difficult for families to go through alone. Consider family therapy to help your family heal, process the past and move forward with love, compassion, boundaries and understanding. Saying yes to recovery as a support person is a journey in and of itself. But with the right outlook, you can learn how beneficial recovery can be as a family member of someone in recovery. Learn to embrace compassion and grace on your journey, not just towards your family member in recovery, but for yourself. Be patient with yourself on your journey, and know that you too can overcome the negative impact of addiction on your life.